The pre-match life of a cruiserweight can be awfully isolated. While the feathers, lights and welters of the world get first dibs at getting on the mat, the 220-pound wrestlers have to wait their turn. Sometimes that idle time involves pacing back and forth behind the bench like a caged lion, pumping and kicking out extremities to get the blood flowing, clapping hands together, stealing occasional glances toward the center of the floor. As the second-to-last match of the night, cruiserweights must hold their horses and restrain the competitive tension for sometimes an hour-and-a-half, maybe more. It's worse at the Class 6A state championship meet where finalists nervously march around the bowls of the Memorial Coliseum awaiting all 12 weight classes from all six classifications to finish their title bouts before taking the arena floor. The edgy tension is rather hair-raising to outsiders looking in. To manage the strain, Beaverton 220-pound sophomore Sandrey Mitberg blasts a mix of music most people his age don't necessarily turn to when the AUX cord is in their possession or the tunes are thumping through their headphones. Metallica, Three Days of Grace ("Riot" if you're looking for workout playlist suggestions, Mitberg says), Disturbed, and a little bit of Korn (depending on the song) are Mitberg's favorites, a mashup of heavy metal and rock with an emphasis on songs that have momentous beats, ones that help the sophomore get in the zone. The music drowns out the fans, the coaches, the outside noise that can draw Mitberg's focus from the task at hand. "It's not so much the lyrics but that 'bam, bam' sound that gets me going," Mitberg said with a smile. "You try to think about every step you're going to do. Even if it's a simple arm drag, you just imagine swinging that arm, grabbing the elbow and trying to grab the elbow. You try to stay focused on the match. You don't let the crowd or your teammates distract you. It's on you. You have to stay in your own head and work." 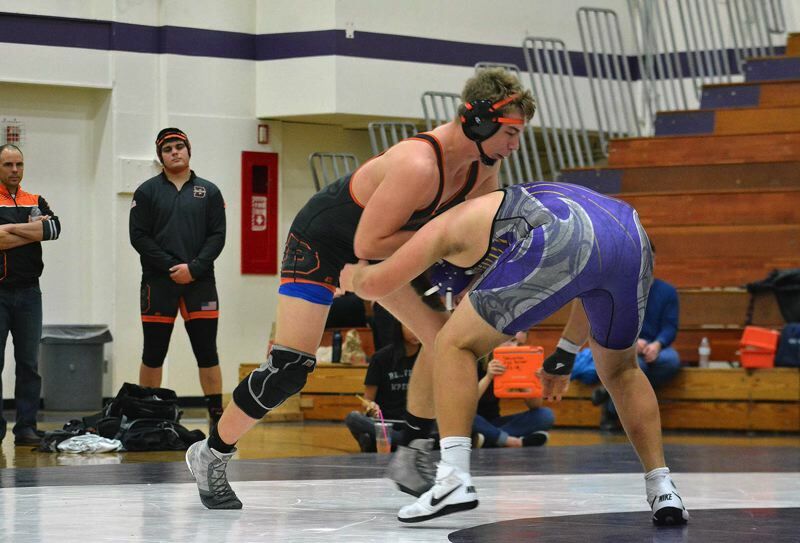 Mitberg and the Beavers won their fourth Metro League dual of the year against Sunset on Jan. 18, beating the Apollos 49-23 at Sunset High School. Mitberg won by major decision over Sunset's Taye Courtney, rolling to a 14-5 win in what was the final match of the night due to the Apollos' lack of a heavyweight. "I try to use hand stuff and if my opponent wants to lock up, then I just rock it and go for it," Mitberg said. "My season could always be better, I always want more, but so far it's going pretty well. I think the team can get a lot better, too. I want us to get second or third in Metro and try to win (the district tournament)." 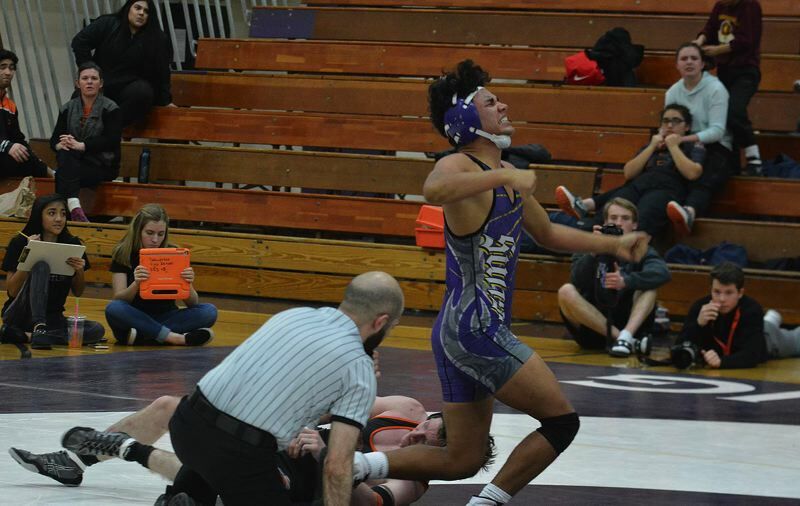 Sunset 132-pound senior Gavin Stockwell and 145-pound senior Gerardo Romero won by pin for the Apollos. 138-pound Jacob Eden and 195-pound Scott Boyce won by major decision and 152-pound Ben Hartley won by decision. Beaverton is now 4-3 in Metro and sitting in in fourth place in the league standings. 106-pound Reeya Tamang, 113-pound Bryce Gardner, 126-pound Drew Field and 160-pound Aaron Hall all won by fall for Beaverton. 170-pond Josh Burkes won by decision. 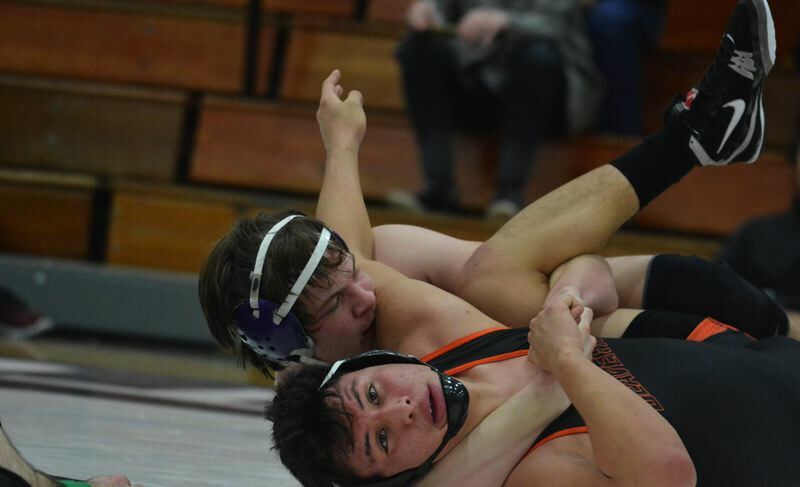 Four matches went Beaverton's way due to forfeit. "I really liked our mental ability to stay in the battle," Mitberg said. "I think the team worked really hard this week preparing for this match, focusing on not making so many mistakes, trying to get our flow wrestling better." The mental side of the sport is something the Beaver wrestling program emphasizes on a daily basis. Riding out adversity, navigating the highs and lows of a season, outlasting your opponent in a dragged-out six-minute match, being intellectually ahead of the game. Beaverton believes wrestling is more about brains than brawn. 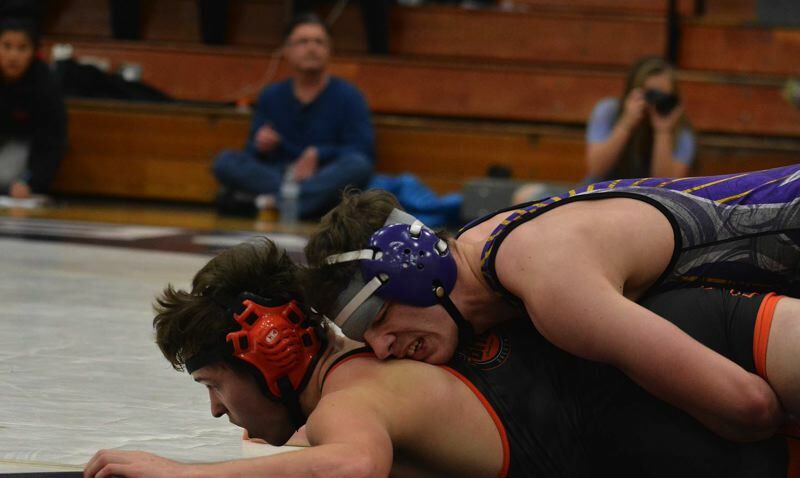 Mitberg mentioned Beaverton 152-pound Evan Kepner as one of the more mentally tough wrestlers he knows, a grappler with supreme confidence, concentration, attention to detail and self-belief. "For (Beaverton) to do well gonna take mental toughness, all the way," Mitberg said. "That's one of the hardest things in wrestling. You could be the biggest guy out here, but have a weak head and you'll lose immediately. Once you get into the third round or overtime, it's all mental, it's not physical anymore, it's the guy with the bigger brain. A lot of guys do (bicep) curls and bench, but that doesn't really matter. You have to be focused all of the time." Beaverton team captain Trevor DeVault won his match by forfeit and didn't compete, but the 120-pounder was locked into the match the entire evening, standing on his feet, shouting out instruction and encouragement to his teammates. Essentially, DeVault was another Beaver assistant coach, another set of eyes for Beaverton. Ironically, DeVault said he aspires to be a grappling guru someday. "The team knows that I know a lot about wrestling," DeVault said. "So, during a match or after practice I try to see if I can help teach my teammates. I love wrestling. I love helping my team and they help me get ready to wrestle. At Beaverton, we're like a family. We stick together, we help each other. We just have to keep toeing that line and stay aggressive."